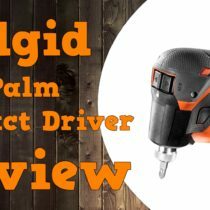 In this review we will be checking out the Ridgid R86042 18v Octane Brushless 4-1/2″ Angle Grinder and will provide an in depth review. This review is a long one so sit tight and find yourself a comfy seat. I’ve split this review into two pages with this first page featuring my thoughts on the grinder regarding build quality, where build quality needs improvement, operation, and ergonomics. Page 2 features full performance and runtime testing, room for improvement and my concluding final thoughts. If you wish to skip directly to page 2, click here. 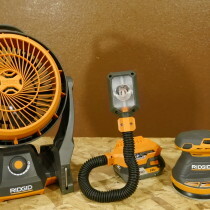 Ridgid was kind enough to send this grinder out to me ahead of release for testing and review. However, they are not paying me, and I am under no obligation to give a positive review. 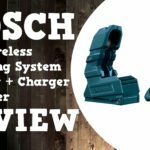 The thoughts expressed in this review are my honest opinion based on factors such as performance, ergonomics, runtime, price, warranty, etc. 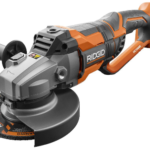 As a bare tool, this grinder comes with the side handle, spanner wrench, disc flange and nut, (1) 4.5″ grinding disc for metal, dust screen, and the owners manual for $129 USD at the time of writing. *I forgot to include in the above picture the spanner wrench that comes with this grinder, nothing fancy but it works just fine. The first thing I noticed on this new grinder is they significantly slimmed down the main handle, which should make it much less fatiguing to use for extended periods of time. Another nice upgrade is the removable dust screen over the back motor vents (above the battery connection point) which will keep the larger grinding particulates out of the motor and bearings ultimately extending the service life. Fit and finish is excellent as usual. It has a heavy feel, but in a beefy kind of way. It’s not too heavy in my opinion. Balance is also quite good with a battery installed. 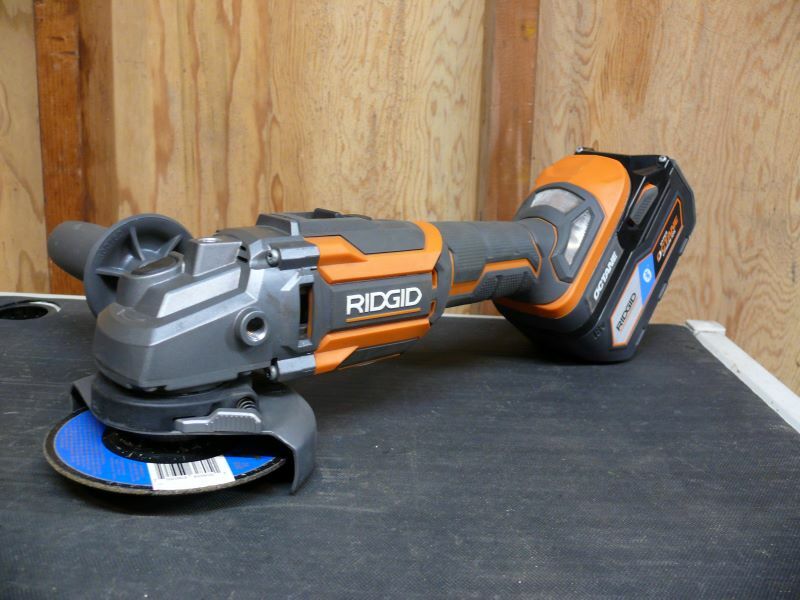 Build quality is excellent on this grinder with the orange portions being a fiberglass reinforced nylon and the dark grey areas being a soft molded rubber. 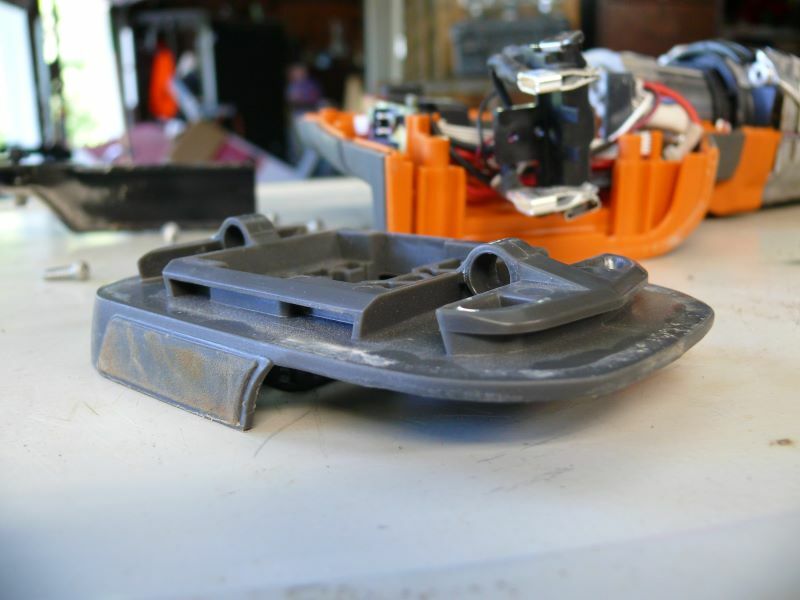 The 2 dark grey areas that aren’t rubber are the screen on the back of the handle and the battery connection point, which is an ABS plastic piece separate from the main housing. 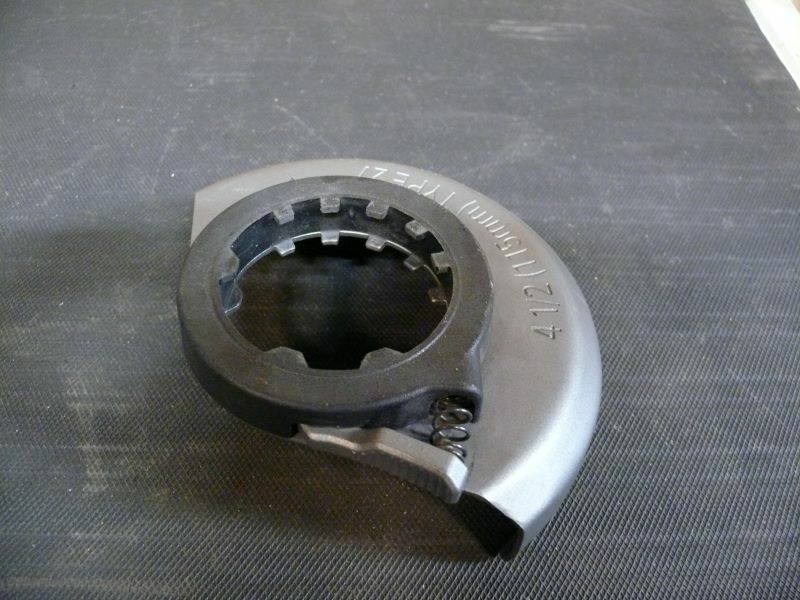 This same ABS plastic piece appears to have 3 variations across all the Octane tools outside of the new 7” grinder. *This picture is of the connection piece from my Octane reciprocating saw, and the connection point on the grinder is the same, aside from having Octane and Brushless printed on the sides. The 3 variations are: One with no mounts for a belt clip; One with 2 mounts for a belt clip; And one with 2 mounts for a belt clip and 1 bit holder. Why these newer tools share this separate base piece hasn’t been mentioned by Ridgid, but my suspicion is that the separate pieces serves 2 main purposes: Consistent fitment with all the batteries, and if a tool is dropped and the battery connection breaks, they can replace just the connection point as opposed to the whole tool casing. That should speed up repairs and keep repair costs down. Number 1 is where the auxiliary handle attaches. It attaches fine and is very solid. However, the threads are nowhere near as smooth as the threads on the previous model, which are very smooth. Whether this is because I got mine ahead of release and thus it may not be nearly as refined as the final version, or perhaps that’s just the way it is. I can’t say it’s a problem but something that can be improved. In terms of operation this grinder is nothing fancy. Just pop in a full battery and you’re ready to go. The slide lock switch is easy to use and as a safety feature it won’t turn on the grinder if the battery is installed when the switch is in the “on” position. You have to cycle the switch off and then it will turn on normally. This same feature is also on the previous brushless model. 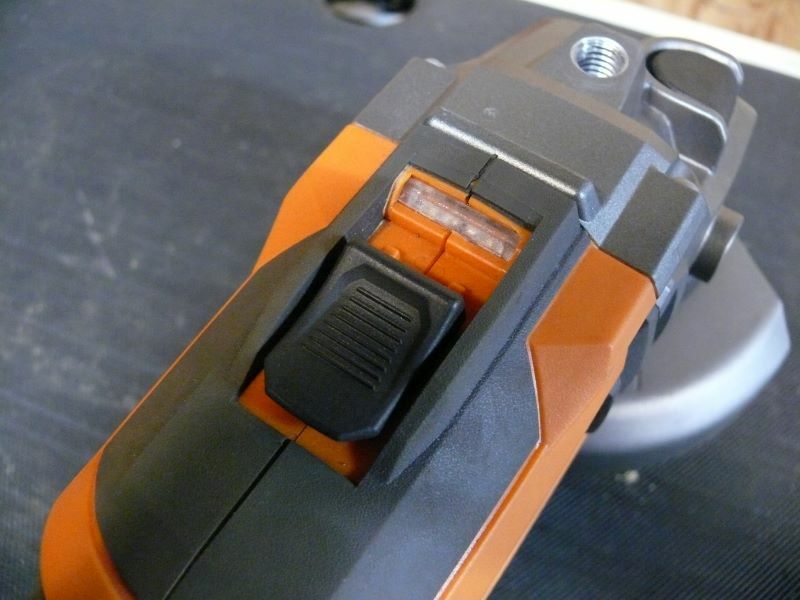 Just above the slide lock switch is what Ridgid calls an overload indicator light, which is 2 red LEDs that flash when excessive load is applied and signals the user to let up on the pressure a bit. I’ll talk a bit more about the overload indicator later on in the review. 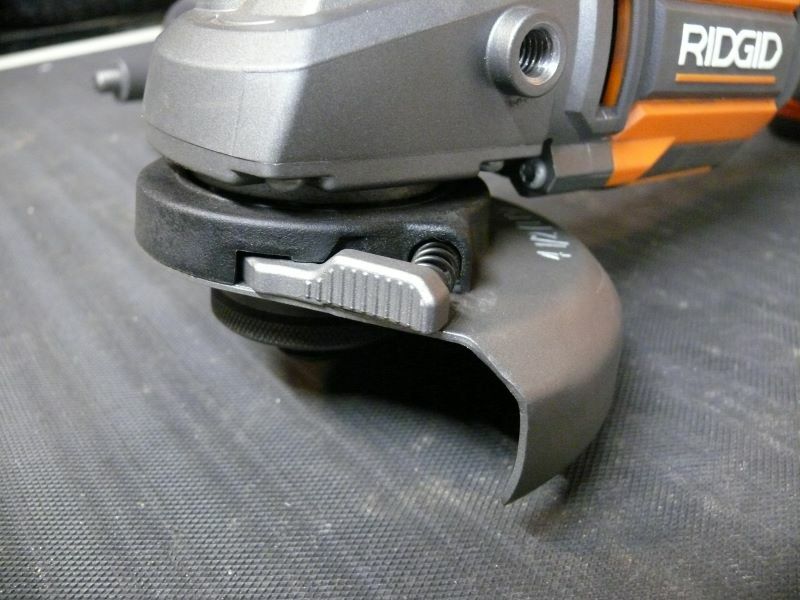 The blade guard is also very easy to use and features 5 detent stops for grinding and cutting at various angles. There is a spring loaded button that you press to adjust the guard and if you release it the guard will click into the next closest detent. To remove the guard simply remove whatever disc/accessory you’re using and rotate the guard until it’s facing directly backwards and it will pull off the gearcase. 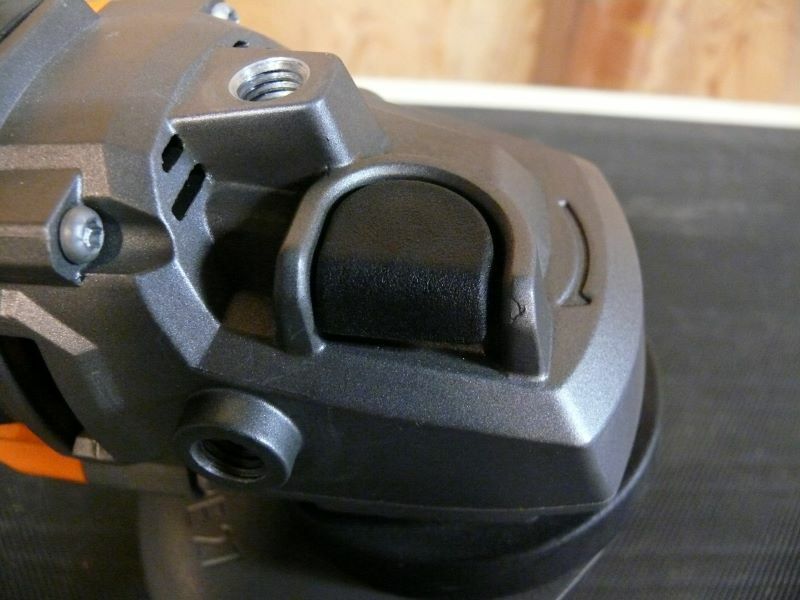 Disc changes are easy, just push in on the gear lock button, rotate the disc until the button engages and then remove the flange nut or accessory. 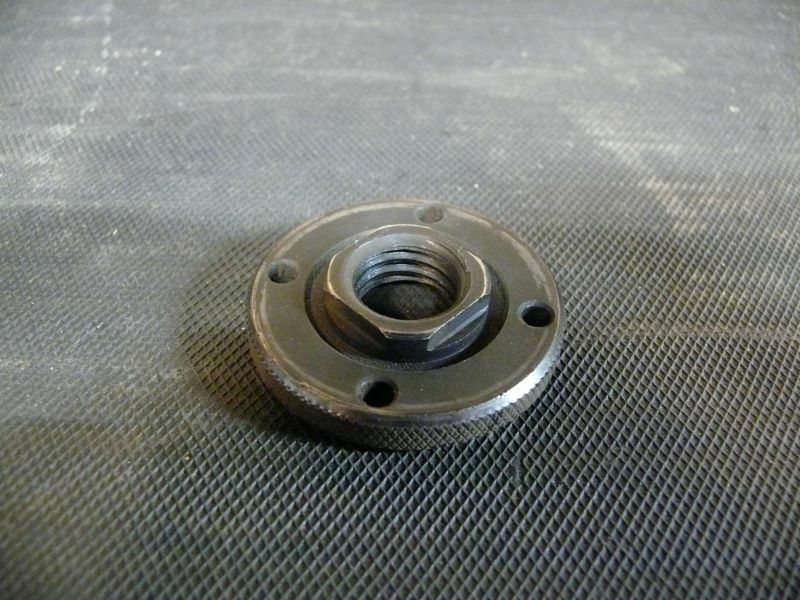 This grinder comes with a traditional disc flange and flange nut. While it would be nice to have a tool-less disc change it’s not a deal breaker and in case you lose your spanner wrench, a ¾” square is on one side to allow use of a regular wrench for disc changes. 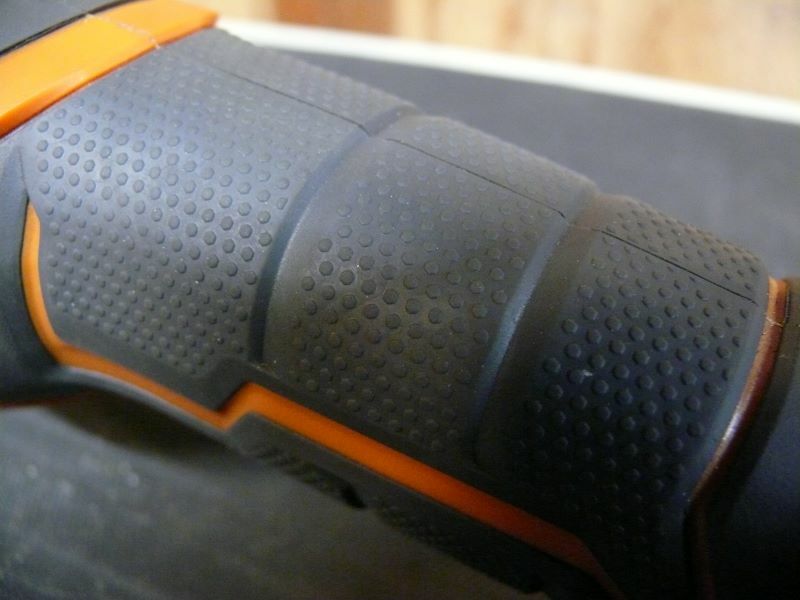 Overall this grinder does very well in the ergonomics category. Ergonomics will vary by user, but I think for the majority of users it will be comfortable to use over extended periods of time. Ergonomics are important because they can boost productivity and can also reduce the risk of injury due to fatigue, as well as lessening the chances of long term injuries. The most noticeable improvement is the slimmer main grip which is a big improvement for extended grinding and wire wheeling applications. One job I did with the previous brushless model (which I’ve had for over a year at the time of writing) was wire wheeling old paint off of a 275 gallon fuel oil tank, during which I ran several larger batteries dead (totalling 24 amp hours of battery). The reason I bring that up is that while the previous brushless unit isn’t bad for shorter periods of use, my right hand became very tired from holding the main handle for most of the duration of the paint removal. The slimmer main handle on the new Octane model makes it far more comfortable for longer use, which I’ve already been enjoying on longer projects. 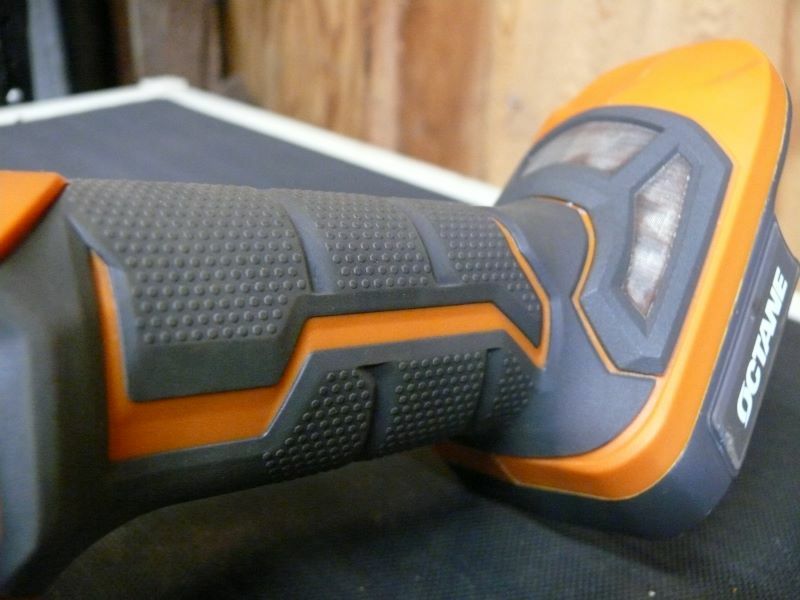 The other major upgrade is the improved coverage of Ridgid’s Hex Grip rubber overmold texture, which surrounds almost all of the main handle, whereas the previous brushless model only has the Hex Grip on the top and bottom of the main handle. The Hex Grip on the Octane model provides an excellent grip with or without gloves and combined with the slimmed down main handle, it makes a very comfortable tool for extended use. Weight is noticeable but not bad. I would say it feels beefy but not too heavy at 4 lbs. 6.2 oz. The previous brushless model comes in at 4 lbs. 1.8 oz. so the new Octane model is 4.4 oz. heavier, which isn’t bad considering the upgrade in power and ergonomics. Even with the beefy feel, it’s well balanced with a variety of battery sizes installed. Lastly, the auxiliary handle can be placed in 3 positions, which helps provide a good gripping position for many different applications. I would have liked a vibration absorbing handle but at this price point it’s not a deal breaker. 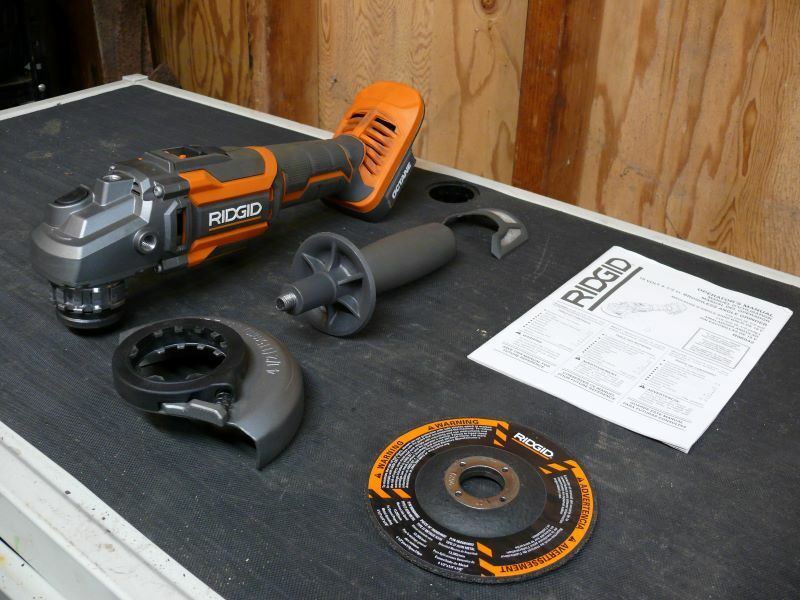 Click here to continue to page 2 which features full performance and runtime testing, room for improvement and my concluding final thoughts on the Ridgid R86042 18v Octane Brushless 4-1/2″ Angle Grinder. Tool Craze does not sell this product or any product on the Tool Craze website. Tool Craze does not handle the sale of any item in any way. If you purchase something through a post on the Tool Craze site, Tool Craze may get a small share of the sale. Please refer to the About section for more info. 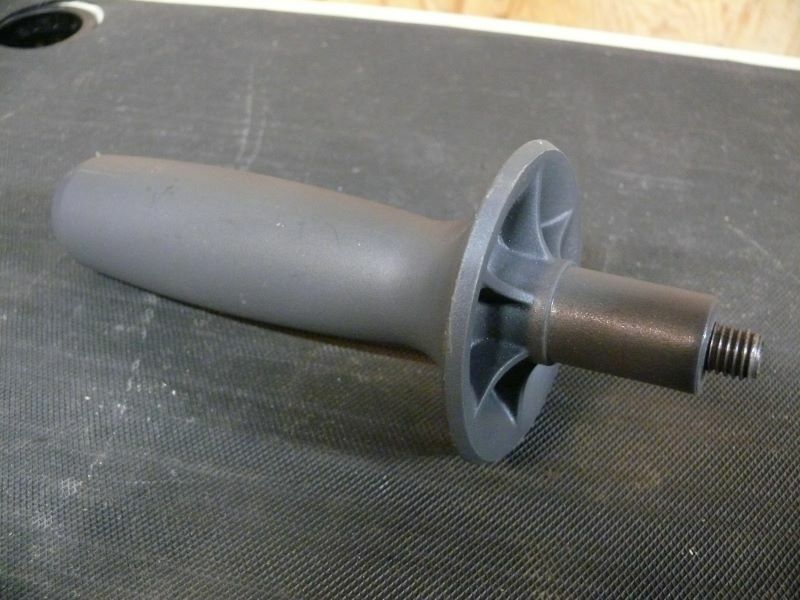 In reference to your discussing this grinders slimmer handle, it does look to be an improvement. The thing is, I had the previous non brushless Gen X4 grinder and its handle was even fatter than that. Its like it wasn’t even designed for human hands. 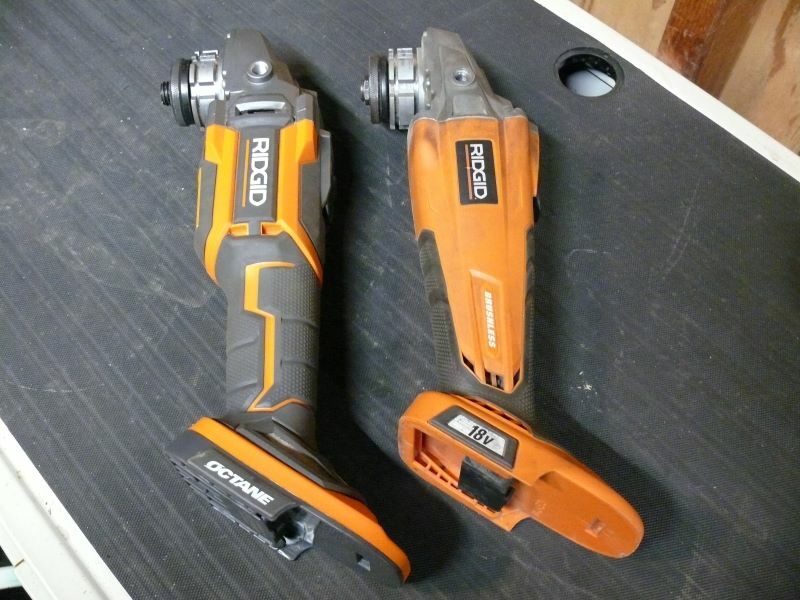 Good for Ridgid for getting that more ergonomically shaped, even if it took two generations. It really is so much nicer for longer grinding and wire wheeling jobs. they’re really getting better in the ergonomics category with the new Octane tools. They probably assumed a user would only run it long enough to go through one battery. If you have a use for several batteries, you probably have a charger, that plugs into a wall, and could have used a corded grinder. Just sayin’, it may be an evolutionary thing that started from corded small body grinders with straight tube casing, then tapered some, then brushless allowed a shorter motor to taper more, then field use showed the taper didn’t impact tool failure much, so now a further taper. That’s true, but if you’re not doing continuous work all day, you could easily get through a full work day on a couple 6ah or 9ah batteries. 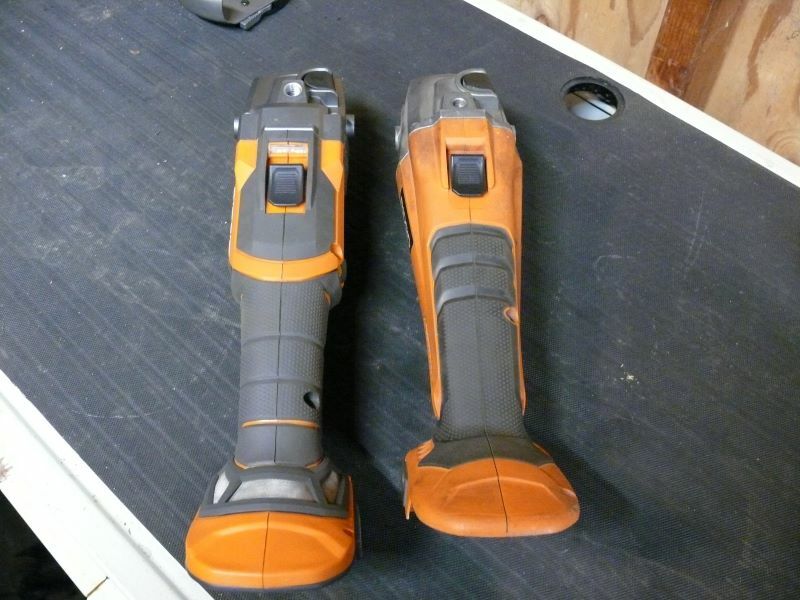 Art on Reader Questions – New Tools Spotted on Home Depot Website Disappearing – WHY? Copyright © 2019 Tool Craze. All Rights Reserved.